For lots of ATV riders out there, bigger is better. Which would make the Honda FourTrax Rincon one of our best ATVs ever. To start with, it's built around our biggest ATV engine, and it's a class-leader when it comes to comfort, ride quality, and innovation too. 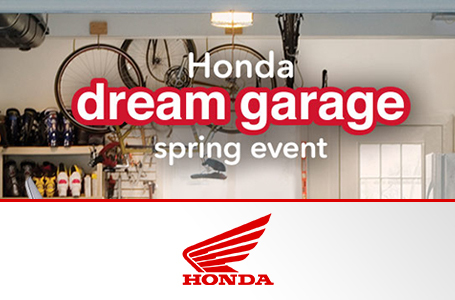 As with any Honda, it all starts with that engine: a liquid-cooled 675cc single-cylinder featuring a twin-plug cylinder head. The longitudinal-crankshaft layout (a Honda innovation) means more power actually gets to the ground, so the Rincon can offer the real-world power of the competition's bigger, heavier models. Premium long-travel suspension, rugged bodywork, strong steel racks front and rear—the Rincon's list of features just keeps going on and on. One thing you can't see but becomes readily apparent is the Rincon's all-day comfort, something serious ATV riders will appreciate. It allows you to stay in the saddle longer, see more, get more done, and pay more attention to what's going on around you. And then there's just the way the Rincon looks: Strong. Purposeful. Like a flagship ATV should. The Honda Rincon. It isn't just a top of the lineup choice; it's the smart choice. Independent Rear Suspensio: The Rincon's IRS returns two big benefits: First, it helps ensure constant tire contact with the ground for superior traction; second, it gives you an ultra-smooth ride over rough terrain, so you don't get beat up on the trail. 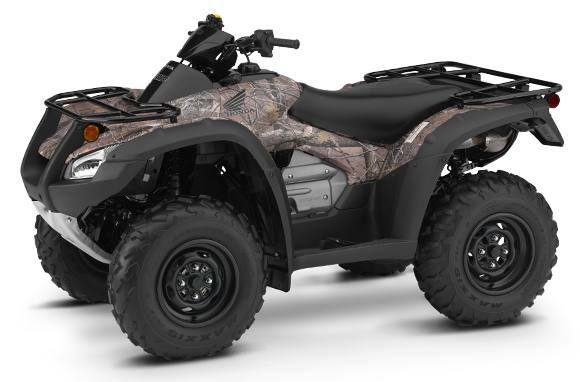 Lower Emissions, More Rang: With its 675cc liquid-cooled, fuel-injected four-stroke engine, the Rincon can power through terrain and trails with ease. The twin-plug cylinder head and an oxygen sensor give the Rincon great fuel efficiency, too. Three-Speed Automatic Transmissio: No belts to slip or clutches to wear out on the Rincon—it features an automotive-style three-speed automatic transmission just like a truck's, so you can depend on it for both a smooth ride and years of trouble-free service. TraxLok: TraxLok® lets you select either two-wheel drive or four-wheel drive. Two-wheel drive gives you lighter steering on flat ground, while four-wheel drive maximizes available traction when you need it. Choosing between them couldn't be easier, and you get the best of both worlds. Electric Shift Program (ESP): Upshifting or downshifting is easy and fast—just push one of two handlebar-mounted buttons. Because you don't have to fuss with a conventional left-foot shift lever, ESP is a huge advantage when riding in heavy boots or if your boots are covered in mud or snow. Semi-Dry-Sump Engine Design: Compact and lighter-weight, the Rincon's overhead-valve, semi-dry-sump design creates an engine that's shorter from top to bottom. That returns two big benefits: it enhances handling by lowering the engine's center of gravity, and it also allows for greater ground clearance. Automatic Transmission: No belts to slip or clutches to wear out on the Rincon—it features an automotive-style three-speed automatic transmission just like a truck's, so you can depend on it for both a smooth ride and years of trouble-free service. Dual-Plug Head: Using two spark plugs that fire together helps ensure clean, fast, thorough combustion. It's a win-win situation: The engine runs cleaner, with greater fuel-efficiency and range. Catalytic Converter: Cars and trucks have had them for decades now—and the Rincon features one as well. People who work outdoors or who enjoy nature know you've got to protect the planet—and the Rincon is doing its part. 83.2 in. x 46.8 in. x 47.5 in.